Govt to buy land and relocate the residents. It is Singapore’s secret Eden, a miniature village hidden in trees among the massed apartment blocks, where a fresh breeze rustles the coconut palms and tropical birds whoop and whistle. White butterflies flutter among the mango and star fruit trees, and tiny fish swim in a tiny stream. With just 28 houses in an area the size of three football fields, it is Singapore’s last rural hamlet, a forgotten straggler in the rush to modernize this high-rise, high-tech city-state. But apparently not for much longer. 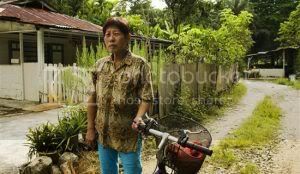 The village, called Kampong Buangkok, is slated by the government for demolition and redevelopment, possibly in the near future. When it is gone, one of the world’s most extreme national makeovers will be complete.